Summer may be the season of swimming, tanning, barbecues, and sunshine, but it’s also an extremely dangerous time of year for those who don’t take proper care of their skin. Now that summer is officially here, it’s important to know how skin cancer is caused and how it can be prevented. Everyone deserves to experience the fun and warm weather of this season, but precautions must be taken! While it’s easy for us to assume that we won’t be affected by skin cancer, the truth is that anyone who experiences five or more sunburns in their lifetime has an increased risk for melanoma. The Skin Cancer Foundation recently conducted a survey and discovered that 42% of people get a sunburn at least once a year. By these numbers, virtually everyone will become at risk for a serious form of skin cancer at some point during their lives. White women between the ages of 15 and 20 who get five or more blistering sunburns have an 80% increased risk for melanoma. Further research has shown that these women also have a 68% greater risk for two other forms of non-melanoma skin cancer: basal cell carcinoma and squamous cell carcinoma. 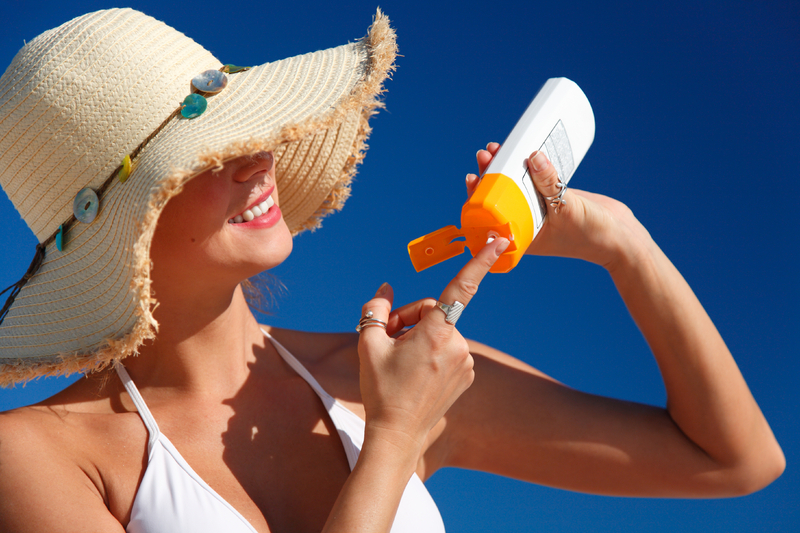 These types of skin cancer are directly correlated with sun accumulation over many years. As you might expect, exposed areas of the body are the most at risk for developing skin cancers. These areas include the face, ears, hands, and neck. While melanomas are believed to result from brief, intense exposure such as a blistering sunburn and are predominantly associated with sun exposure in early life whereas non-melanoma skin cancers are related to sunburns over a period of time in both early life and adulthood. Other factors such as skin types, family history, and number of large sizable moles on the body also play a role in skin cancer. These risk factors were further evaluated by the American Association for Cancer Research when they conducted a study in which 109,000 white female nurses between the ages of 25 to 42 were followed for about 20 years. During this study they were asked for updates on their family history as well as their use of tanning beds, alcohol and cigarettes. About 25% of women admitted to experiencing painful blistering sunburns at a young age as well as to using tanning beds. About 10% of these women had more than five blistering sunburns when they were between the ages of 15 and 20. Results of this study showed that around 7,000 of these women were diagnosed with basal cell carcinoma, 880 were affected by squamous cell carcinoma, about 780 were diagnosed with melanoma and 445 developed invasive cancer. Researchers found that women who had the greatest exposure to the sun’s harmful UV rays when they were adults did not have an increased risk for melanoma, but rather a greater risk for basal cell carcinoma and squamous cell carcinoma. By remaining informed on what causes skin cancer and taking the appropriate precautionary actions, you should be able to soak up the sun without putting yourself at risk this summer!